Are you considering implementing a completely new security program, looking at the benefits of a switch from a proprietary “in-house” program, or simply seeking a better value contract security dollars? We offer a comprehensive set of solutions to help protect your business or organization from both internal and external threats. Our Investigative Team boasts 100+ years of Investigative experience in both corporate and private matters. Headquartered in Mount Pleasant Michigan and celebrating 45 years in business, STT is a trusted industry leader in the areas of Uniformed Security Guards, Executive Protection Personnel, Employee Screening, Consulting and Private Investigative Services. STT Security Services delivers a comprehensive portfolio of security, safety and investigative solutions dedicated to supporting our clients needs. Carried out by seasoned and credentialed professionals you can rest assure your needs are being handled by some of the best. STT has service offerings to help almost every type and size of business, organization or individual. From Fortune 500 to small business owners STT offers solutions to help reduce risk, control costs and improve your offerings. We look forward to speaking with you about a solution to your needs which will drive return on investment to your organization today. 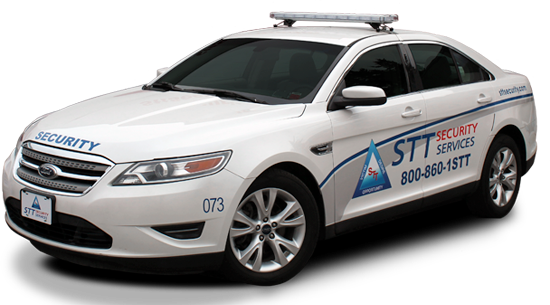 STT is now hiring for a full and/or part-time Security Officers in the Lansing Michigan area. We are looking for motivated people who are customer service oriented, motivated, hardworking, reliable and trustworthy. Experience is not necessary - but a plus. Applicant must be flexible and be available for all shift, days, weekends and holidays. RETIREES WELCOME and ENCOURAGED TO APPLY! Applicants should have excellent people skills, be comfortable with using a computer, interacting with the public and being an authoritative figure. Security Officers primary duties involve indoor/outdoor foot and vehicle patrol, activity and incident reporting and working closely with client/management in meeting their needs. Demonstrate the ability to take, follow, and give directions to other employees, patrons, etc. Our employee centered security organization is growing and we need competent, responsible Security Officers to grow with us. The successful candidate will identify and report incidents at client sites as well as being responsible for the security and safety of the clients and the property. They will also show an attention to detail and the ability to engage with the public. Full and part time jobs available. Weekends and Holidays are expected. Must have a valid Drivers License and active California Guard Card. Full and time jobs available. Weekends and Holidays are expected.